Undefended Heart's emphasis on our common humanity and our common being-ness can show you how to re-frame your understanding of yourself, creating the possibility for restoring harmony within yourself and in your home. 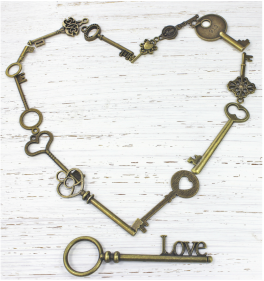 Our keys allow you to unlock the patterns of defensiveness that keep you locked in battle. What’s the PULSE of this moment? What’s the energetic PULSE of your heart? Giving full and open attention, especially to what is challenging in your life, is like pausing to take the PULSE of this moment. Is it open to some people, but not to others? Are you open to some situations, but not others? Would you like to be free, open and accepting in all arenas of your life? to clear thinking and availability. 4th story window, looks down onto Main Street, where the people are rushing, to stop at the light. They are wrapped up in stories, their eyes never meet, caught up in the day and how it is designed. And I open my heart to be more forgiving, but I have some regrets that hurt from time to time. And it hasn't been easy, slowing down momentum, I am in the habit of being unkind. I am awake after two cups of coffee. I put on the day, like it's armor of steel. In the morning I am, a warrior fighting battles, but the armor gets heavy, and so does the shield. And I'm feeling lost, like a half-winged angel, that could be in heaven, but can't fly so high. And I know this is common, we all live the danger of realizing we slept away, most of our life. And I'm feeling lost, like a half-winged angel, this heavy armor keeps me out of the sky. And I try to see it, to let go of familiar, and it's hard to trust that I will be all right. Mindless eating mindless channel surfing mindless screen time mindless drinking mindless shopping ~ sucked in and not aware of what you’re doing? you’ve eaten, drank, spent, or how much time has gone by. allows you to live more whole-heartedly. BEING: present, alive and available to all of your life.